Available again! Pick up a free 8 oz. 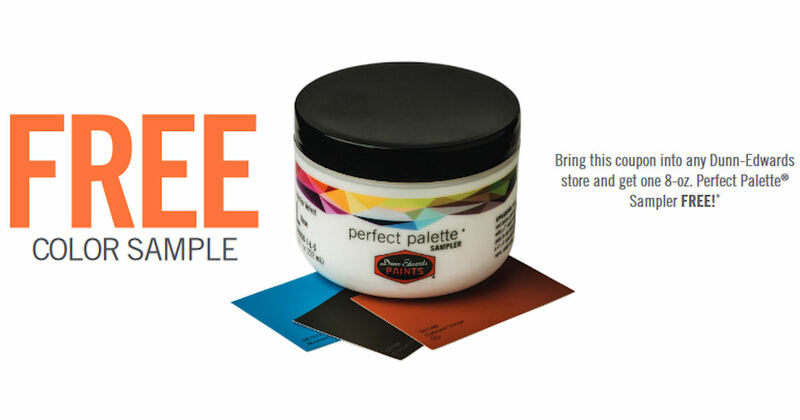 Dunn-Edwards Perfect Palette Paint Sampler with this coupon! Print the coupon on the following page and redeem at your local Dunn-Edwards Paint dealer to grab yours!